Click on the name, photo, or logo above to visit the groups's website. Alpha Wave Movement is Gregory T. Kyryluk. His music offers ambient electronic excursions into deep space using seductive sound design. As a child, Gregory was drawn to his family's cheap electric organ that allowed him to play chords using buttons with his left hand while his right hand played melodies on a keyboard. As an adult, Jazz Fusion and Progressive Rock opened his ears to structure. While mostly self taught, he took a few courses in college in including jazz performance where he played electric bass. Music by John Williams, Jean Michel Jarre, Kitaro, and early new age music inspired Gregory to explore synthesizers and the concept of making music without the dependency of having a band. As an artist and adamant music listener, he focuses on the freedom and exploratory nature of music. The first official Alpha Wave Movement music available on CD appeared in the early 1990s on the Silent Records "From Here to Tranquility" series. As Open Canvas and Anodize, Gregory released music on Groove Unlimited when it was called Cue Records. The remainder of his releases have been released on his own Harmonic Resonance Recordings label. All albums are on Harmonic Resonance Recordings. Arcane is Paul Lawler of Manchester, England. He began his musical career as a session brass player working with the Halle Orchestra and BBC Radio amongst many others. After years of composing music in his own time he decided to make the transition into media composition on a full time basis following a series of television commissions for the BBC. Equally adept with both cutting edge technology and classical idioms, his music has a very unique and contemporary style. Paul has been in great demand since composing his first television score in 1998 for the BBC series Ancient Voices. Other commissions include the major BBC series Apeman-Adventures in Human Evolution and Ancient Apocalypse. Paul's music has been used on hundreds of Television shows from around the world including Saturday Night Live, The Montel Williams Show, The Late Late Show in the USA and the major drama productions Ice Age and Cobra, plus the feature film Countdown described by Hollywood moguls as "Russia's First Blockbuster" and "the most ambitious film to come out of Russia." All albums are self released by Paul. VoLt is an electronic music duo from the UK consisting of Michael Shipway and Steve Smith. Originally in a Pop/Rock band called Hi-Fi, their interest in sampling and synthesized sound led them to form Artificial Intelligence. These bands were based upon composed music. 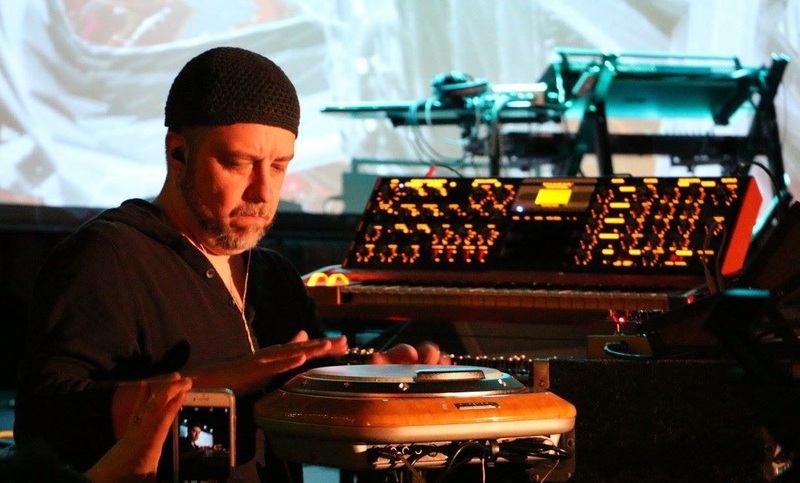 After composing three solo electronic albums on the Surreal to Real label and striving to write a fourth, it occurred to Michael that he and Steve had never tried to play music live and spontaneous with no prior arranging. Everything had always been carefully prepared, recorded, and edited to achieve the required result. Both Mike and Steve agreed it would be a good idea to try some sessions playing live in the studio with no pre-planned ideas except for some programmed sequencers. "The Far Canal" was recorded in three sessions and VoLt came into being. All albums are released on Groove Unlimited. Robert Scott Thompson works in the ambient, electroacoustic, contemporary instrumental, pop, and avant-garde genres. He is Professor of Music Composition at Georgia State University in Atlanta. Dr. Thompson is also Director of the Center for Audio Recording Arts (CARA). He runs the Aucourant Records label which has released selections of his work in a wide range of styles. All albums are released on Aucourant Records. Based in Houston, Texas, Cyber Zen Sound Engine consists of the anonymous duo GraceNoteX and Smith6079. 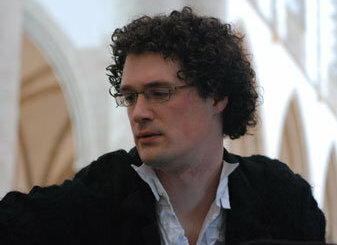 With their "Cooperation" album, Tom Boon was added as a third full member. The Special Focus listing on WDIY's website is HERE. All albums are released on N-Light-N Records. 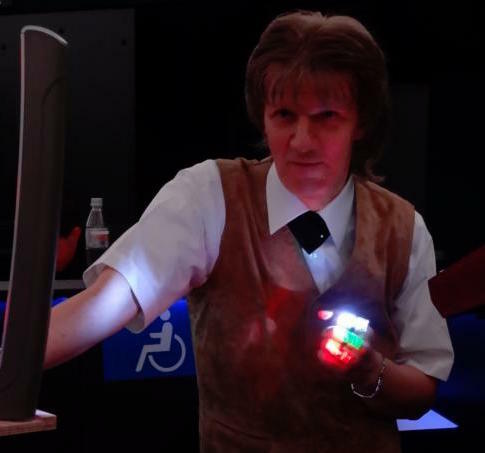 Born in Eschwege, Germany, Wolfram Spyra is a composer of electronic music, sound artist and inventor. Sound is his art form. He has worked for film, television, theatre, dance and as sound designer. Spyra began his career in the early 1990s constructing soundscapes and installations around Germany. He has collaborated with a wide range of visual artists, musicians, producers, and DJs. He has released several albums, starting in 1995 with "Homelistening Is Killing Clubs." 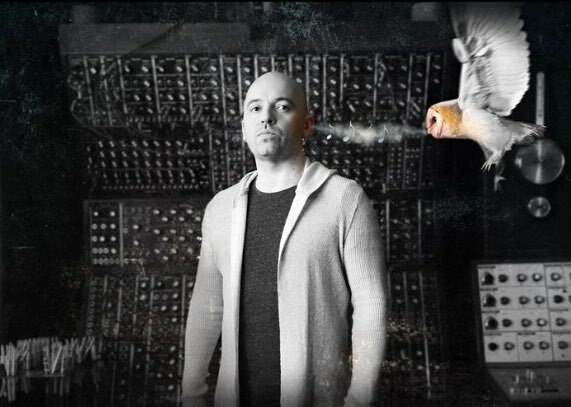 Spyra's focus is on electronic music, seamlessly blending interesting samples, synthesizers, percussion and other elements together in unique ways. While sometimes experimental, most of his music has a certain accessibility in terms of the rhythmic and melodic components. Though frequently associated with the retro or Berlin School sound pioneered by Klaus Schulze, Tangerine Dream, and others, he uses modern ambient electronica elements extensively, creating his own rich sound that defies easy categorization. Spacecraft was formed in 1996 after a listening session of NASA image and sound mappings from the Voyager space probe. Founding members Tony Gerber and John Rose along with Diane Timmons formed the core of the group. With Chris Blazen, their first record, simply titled Spacecraft, was released in 1997 on the now defunct Lektronic Soundscapes label. As a reaction to the label's demise, Tony Gerber founded the Space for Music record label. Spacecraft releases its CDs on this label as do many other fine groups and solo acts. The band includes Giles Reaves whenever possible and enjoys widespread airplay on many radio programs worldwide. More information can be found at their concert review. In 1996, RPM was founded by Stephen Parsick, Lambert Ringlage, and Frank Makowski. But Ringlage left the project by year's end. This prompted the band's name change to ['ramp] as the original name stemmed from the initials of the three founders. The new moniker refers to the Dutch word "de ramp" which means "disaster" or "catastrophe." As a duo, Parsick and Makowski ventured into experimental ambient and electronic realms, giving birth to a style of music the band playfully refered to as doombient. ['ramp] also experimented through collaborations with other artists. The soprano Martina Beine was the first of these and joined the band for a short while in 1997 but left the next year. Between 1997 and 2003, the second and third incarnation of ['ramp] released a string of albums and played concerts in the Netherlands, the UK, and Germany before activities were forced to come to a halt in early 2003. In 2005, the release of the 2001 concert recording of the Jodrell Bank performance ("oughtibridge") promised a return from the graveyard with a vengeance. 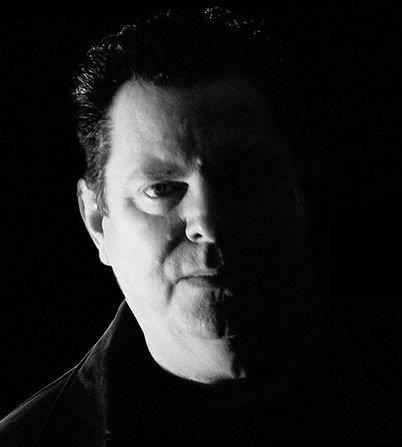 Even though another five albums followed in the wake of "oughtibridge," the band was no longer the same, resulting in ['ramp] becoming a solo project of Stephen Parsick. All official releases are on Doombient Records. Remy is Remy Stroomer from the Netherlands. He has been making synthesizer music for many years and runs the Deserted Island Music label. He is a veteran of many EM concerts in Europe, including the final Ricochet Gathering held in Berlin in 2010. All official releases are on Deserted Island Music or AKH Records. Here is the Top 20 Monthly Report for September. 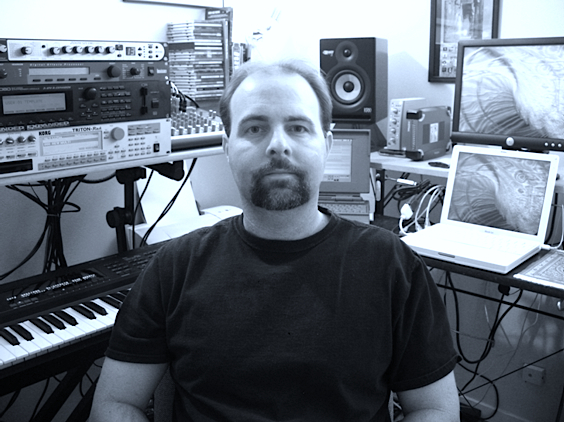 Paul Vnuk Jr is a professional audio engineer, musician and music producer living in Oak Creek, WI. Since 1995 he has been producing critically acclaimed electro-acoustic ambient music on his own, with Tribal Ambient duo Ma Ja Le with Christopher Short and with collaborators including Tony Gerber, Oöphoi, Vir Unis, MindSpiral, and James Johnson. His most recent releases are the ECM flavored ambient jazz album "The Moss Garden Sessions" with guitarist Greg Hurley and saxophonist Brian Good and he also contributed drums, synths and vocals to the Sensitive Chaos album "March of the Timeshifters" which was nominated as one of 2015's top five electronic albums by the Zone Music Reporter. By day he is a professional audio engineer at his studio Moss Garden Music and is the Tech Director at Grace Church in Racine, WI. He is also the Technical Editor of Recording Magazine. Here is the Top 20 Monthly Report for October. Michael Allison has been playing and composing music since the age of 16. His humble beginnings started in High School as lead singer for Brimstone in the Central Valley town of Modesto, California. At the age of 17 he joined a "show band" from Los Angeles as the bassist for Skyway touring the South and the Pacific North West. 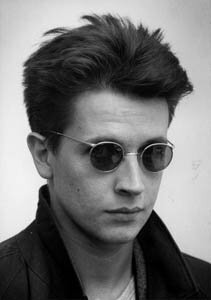 Soon after they disbanded, he formed a life long friendship with Naux (Juan Maciel) playing in such bands as Nona Hendryx and Zero Cool, Richard Hell and China Shop in New York City. In 1984, he formed his own band Empty House playing to very enthusiastic crowds in places like CBGBs, TRAX and The Pyramid Club; where they were the "house" band performing every Tuesday night. However, it was through his connection with Naux that Michael began composing music fusing "ambient" and "jazz" influences from Brian Eno to Miles Davis. All official releases are on Spotted Peccary Music. Here is the Top 20 Monthly Report for November. MYTHOS was founded in 1969 by multiinstrumentalist Stephan Kaske and Thomas Hildebrand (drums) and Harald Weiße (bass). In 1980, Kaske went solo and opened a studio. Kaske produced countless bands and projects as well as music for TV, radio, film and commercials. Since 1990, Kaske has been producing for MEMBRAN, resulting in more than a dozen MYTHOS releases plus numerous productions of other styles. 2009 saw the first Mythos live production in decades. Mythos performed numerous concerts in various venues; planetaria, churches, festivals, open air events and vernissages.